It began on a farm in Oakley, CA in the tumultuous days of the late 1960s when a young Fred Cline spent summers on his grandfather's farm. While the rest of the country was in cultural upheaval, Valeriano Jacuzzi, one of the seven Jacuzzi brothers who pioneered American aviation and water pumps, taught his grandson the cherished old-world ways of teasing magic from the soil. Fred never lost his love for the soil. With new bride Nancy Bunting, he embarked on a mission to bring Rhone-style wines to American dinner tables. Restoring vines that were decades old, some over 100 years, Fred and Nancy produced Mourvedre, Carignane, Marsanne, Roussane and Viognier. He also planted acres of what would become legendary Cline Cellars Zinfandel. 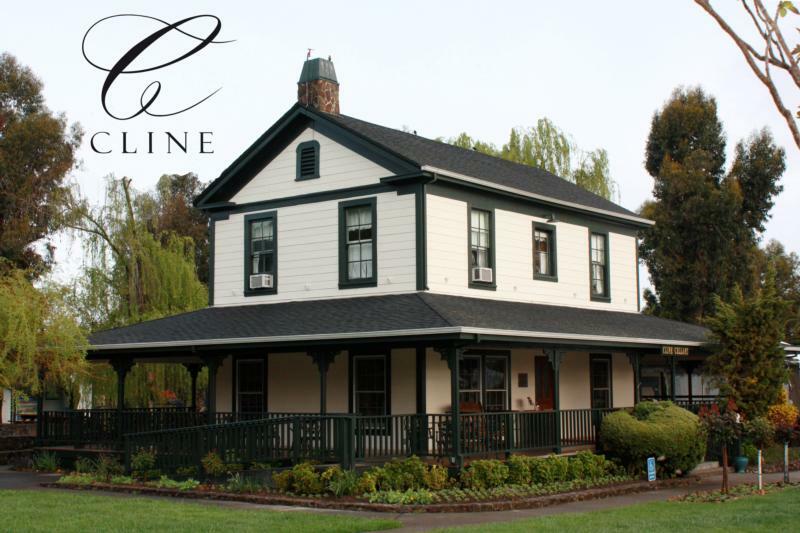 Today, the Clines own many acres of vineyards throughout Sonoma County, with other properties in Oakley and Tehama. Passionate about the importance of history, they own and have restored the nearby Dillon Beach Resort, the Mizpah Hotel in Tonopah, NV, and the Villa Laura in Tuscany. They also operate Green String Farm, a 150-acre working farm that produces a variety of fruits and vegetables grown on soil that is tended and nurtured without toxic chemicals. The produce from Green String is used by such culinary luminaries as Alice Waters of Chez Pannise. "Cashmere Black Magic is an alluring blend of grapes that were spirited awayfrom ancient vines rising up from the dark, rich loam. You’ll be spellbound by theresulting blend with its notes of juicy cherries, vanilla, and hints of dark roasted coffee." The 2016 Ancient Vines Zinfandel shows spicy, bright strawberry, with coffee and chocolate characters. Ripe fruit and soft . The Ancient Vines Mourvedre offers distinct chocolate characteristics and a luscious deep plum flavor.This scrumptious and unusually delightful wine goes exceptionally well with grilled lamb or pork, sautéed asparagus and curried deviled eggs. Just remember 'Move Over Dear' Our Ancient Vines Mourvedre offers a hint of Eucalyptus on the nose, distinct chocolate characteristics and a luscious deep plum fl avor. This scrumptious and unusually delightful wine has a substantial mouth-feel followed by soft tannins. Wine Spectator 87"Ripe, with cola, beef and black cherry flavors encased in generous coconut, vanilla and espresso bean from toasty oak. Round tannins shape the finish. Better than previously reviewed. Drink now through 2006. 3,900 cases made."